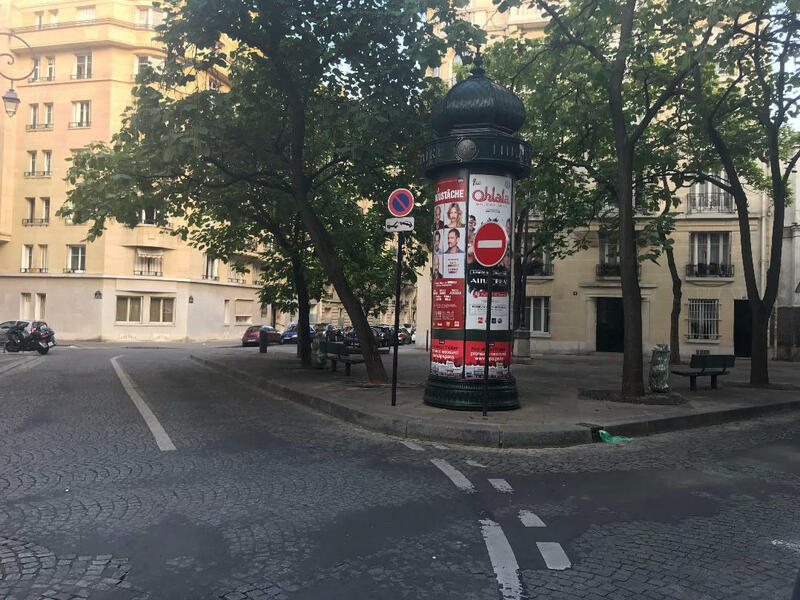 A street in Paris' 16th arrondissement is deserted in the middle of the day in August. Parisians have started returning from vacation this week. The Passy Metro station in Paris' 16th arrondissement is deserted on an August day. The market near the Barbes-Rochechouart Metro stop is bustling on an August day. A normally busy street in the 16th arrondissement is quiet in August. 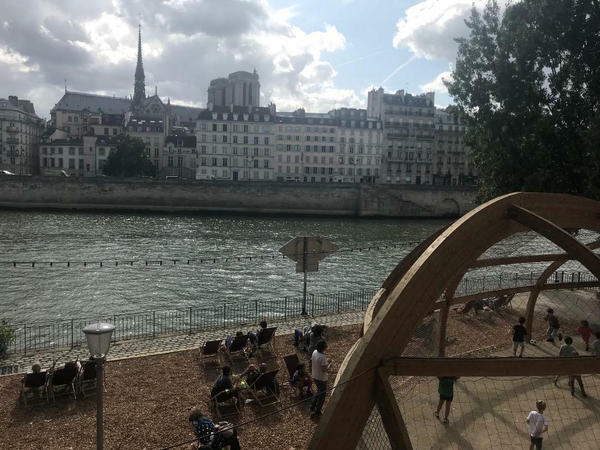 The city of Paris organizes Paris Plage or Paris Beach every July and August, closing down a mile-long section of roadway next to the Seine, trucking in sand and bringing in lounge chairs and palm trees. There are cafes, live music and games for children. Shoppers are out in force in August at the Barbes market. You can forget working. You can also forget making a doctor's appointment, getting your car fixed, visiting your accountant or just about anything else you might want to get done. Nearly everyone is gone, and everything has to wait until September. With the city half-empty, many shops are shuttered. Some proprietors tape little handwritten notes to their doors announcing their fermeture annuelle. "Annual Closing – we will reopen September 1st," reads the scrawled message on one of my neighborhood butcher shops. 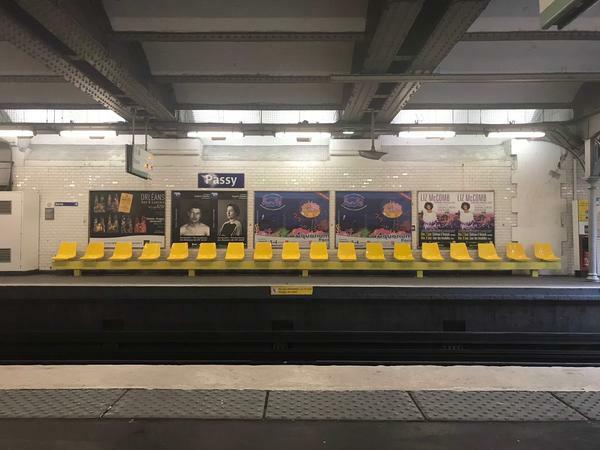 An American friend who recently arrived in Paris was so struck by how empty the city was that he asked me if there was some sort of French government regulation mandating that people take their vacation in August. It made me laugh, but in fact there are actually terms for those who take the month of July off and those who take August. They're called Juillettistes and Aoûtiens. The two are irreconcilable. And just when the Juillettistes are coming home, the Aoûtiens are heading out, creating the biggest traffic jams of the year. Of course, American cities like New York and Washington, D.C., can also seem emptier than usual in August. But there isn't a giant exodus that leaves the city deflated and void of energy and spirit. That's the way it feels to me. But as it turns out, many Parisians don't agree. Elsa Battista, who teaches middle-school Spanish, says Paris in August is ideal. She even takes her vacation in September so she can take advantage of the quieter city. "We suffocate in this city because there are too many people," says Battista. "So August is actually the best time to stay here. You can get around easily because there's no traffic and you can get into museums and movies without standing in line. I feel like someone is handing me Paris on a platter." Truth be told, not all of Paris is dead in August. Many neighborhoods remain lively. 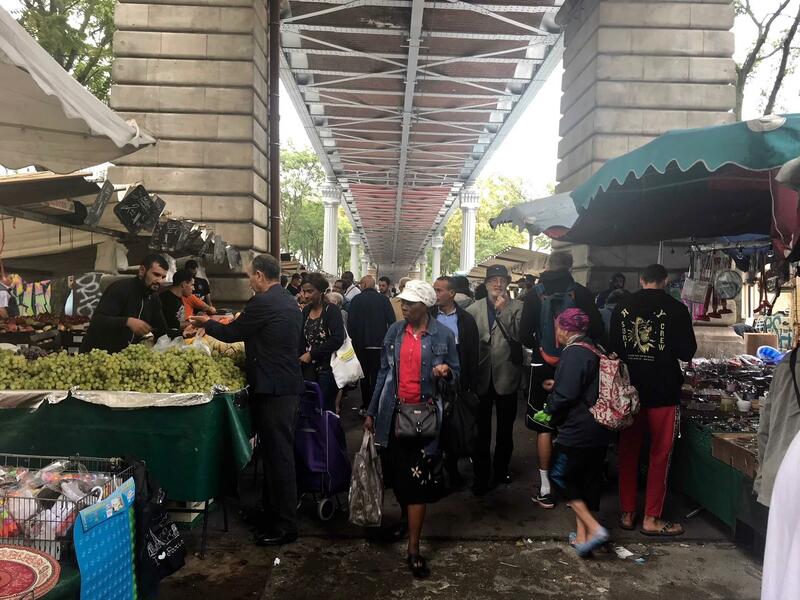 In the north and east of the city, in places like Pigalle, Bastille and the Canal Saint Martin, the streets are still bustling and young people are out in the evenings. In the touristy center of Paris everything stays open (for the tourists), but there are no Parisians. So if you find yourself wandering around St. Germain des Prés in August, wondering where all the Parisians are, you'll find them in the grittier parts of the city. Generally speaking, the older and whiter a neighborhood is, the deader it's likely to be in August. The fun neighborhoods in August are young, multiethnic and immigrant. Sandra Hoibian works for a consumer advocacy group that studies French vacation patterns. She says traditionally, all social classes have partaken in the country's five weeks of paid vacation. But vacation is increasingly exposing inequalities. Hoibian says today twice as many rich people go on vacation as do poor. "Vacation is not just about leisure time," she says. "It's also a way to show what you are in society. When you go abroad and travel a lot, it shows everyone you have status. It's clearly a mark of wealth." 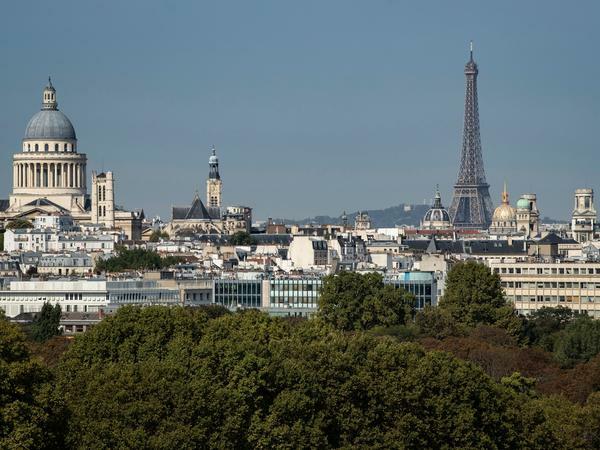 Paris is a very unequal city, she says. "About a third of the population never goes on vacation," she says. "And another third takes several vacations a year. In between, there are those who take vacation once a year." Still, says Hoibian, taking vacation is such an entrenched part of French life — 60 percent of the French take at least one vacation a year, according to her organization, which has been studying vacation patterns for 40 years — that not to go on vacation means you are excluded from society. Brigitte Dauplais fights against that exclusion. She works for a charity organization called Federation Vacances et Familles, the Federation of Vacation and Families, one of many groups that helps economically disadvantaged families go on holiday. The organization helps families plan where they're going and make the necessary reservations for hotels, transport and extra activities. Dauplais says the families pay from 15 percent to 30 percent of the total costs. Duplais says vacationing together can help families improve many aspects of their lives. "Many of the people we help don't even know how to buy a train ticket," she says. "So they learn mobility. And they discover another way of living and another face of France." Dauplais says families are often overwhelmed with financial or relational troubles, so getting out of the city for a while and breathing fresh air and tasting something else enables them to better affront life upon their return. "Many times, parents discover they can actually have fun with their children when they're on vacation," she says. "So when they come home, many continue to do things with their kids." In a film her organization has put together, family members talk about their vacation experience. The families are white, black and Arab. The kids speak animatedly about getting to visit farms with animals and having swimming pools to themselves. "There was no homework or television so we did lots of other things together," says one little girl. "No one judges you on vacation," one mother says. "We were respected and treated just like everyone else. That really gave me confidence." On a recent August afternoon, my neighborhood market in the staid 15th arrondissement is a sad shadow of itself. 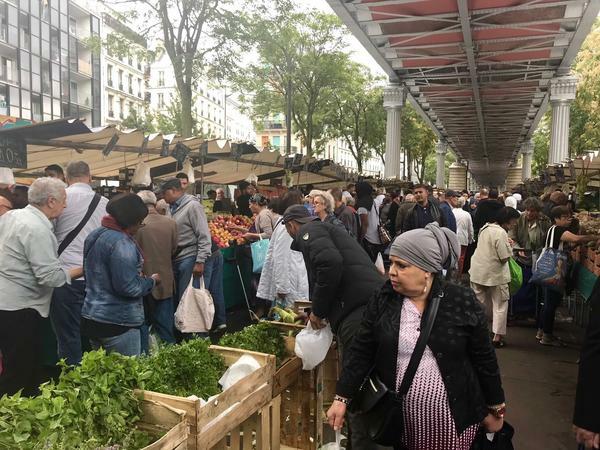 But the open-air market around the Barbes-Rochechouart Metro stop in Paris' northern 18th arrondissement is hopping. There are vats of olives and spices and vendors yell out, hawking their wares to the crowds. Some women wear Muslim headscarves; others don colorful African dresses. One stand sells only hijabs, another only bolts of fabric. The fruit sellers are cutting up pieces of cantaloupe for people to taste and kids are gathered around a stand where a man flips crêpes on a grill. Next door, in the 10th arrondissement, which borders the Canal Saint Martin, I stop at a little park near the Gare de l'Est, one of Paris' main train stations. I'm surprised to stumble on the kind of summer scene you usually see in June, not August. Children are laughing and playing on jungle gyms and in sandboxes, as adults and older people sit on surrounding benches watching them and relaxing. Laurence Touati, at the park with her two daughters, says her working-class neighborhood has a great mixture of people from different backgrounds and is also very young. Touati has just returned from a three-week vacation. She says the family saves up and can only afford to go on vacation once a year, but it's important to do so. "I'd feel terrible if I didn't leave," says Touati. "Because the kids are in the city all year with the pollution and the stressful rhythms. It's important for them to change their rhythm and to relax and to see the sea!" Touati says summer vacation is also important together time for the family. What Touati expresses is deeply rooted in France. Vacation is seen not as a perk but as a necessity of life that everyone has the right to, especially children. On the other side of town, the 16th arrondissement is the bedrock of old-money, bourgeois Paris. It's also deader than dead in August. 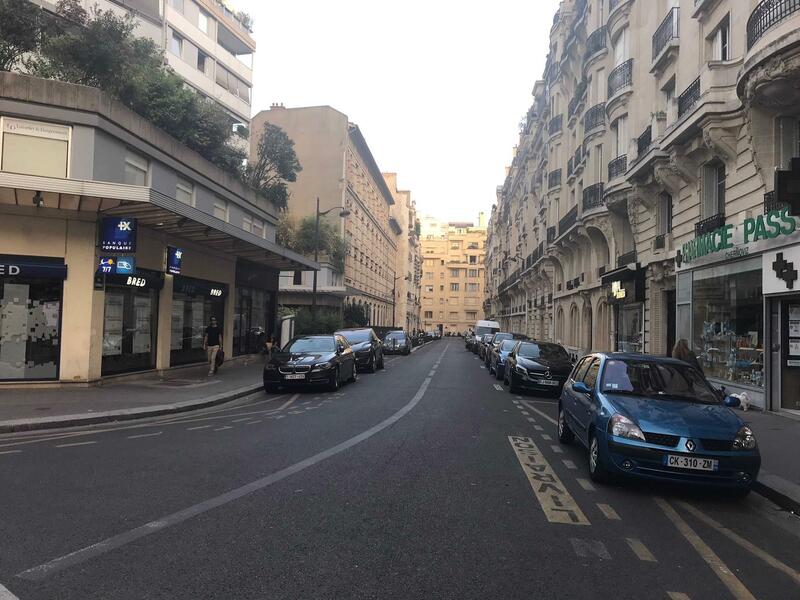 The rue de Passy, with its chic Chanel and Dior shops, looks like an empty movie set. But, this being the last week of August, even this vacation redoubt is starting to crack with signs of life. People have begun trickling back from their Cote d'Azur holidays and there are tanned faces at an outdoor café. Catherine Maarek, 73, is wearing a colorful pantsuit that sets off her golden tan. Maarek lives in Montmartre, in the north of Paris. She's only in the 16th to feed her sister's cat. "I see a big difference between here and Montmartre," says Maarek. "In my neighborhood, everything is open, even on Sundays." She says her sister's arrondissement is utterly depressing in August. "It's all old people anyway," she laughs, waving a dismissive hand. Maarek says she'll be glad when August is over. I love September in Paris, when the city explodes with energy and enthusiasm as Parisians come home renewed and ready to get back to school and work. And in September, I know people will return my phone calls! Rose Gilbert contributed to this story.